Believe it or not, BYU linebacker Fred Warner was the best player at his position at the 2018 Senior Bowl. 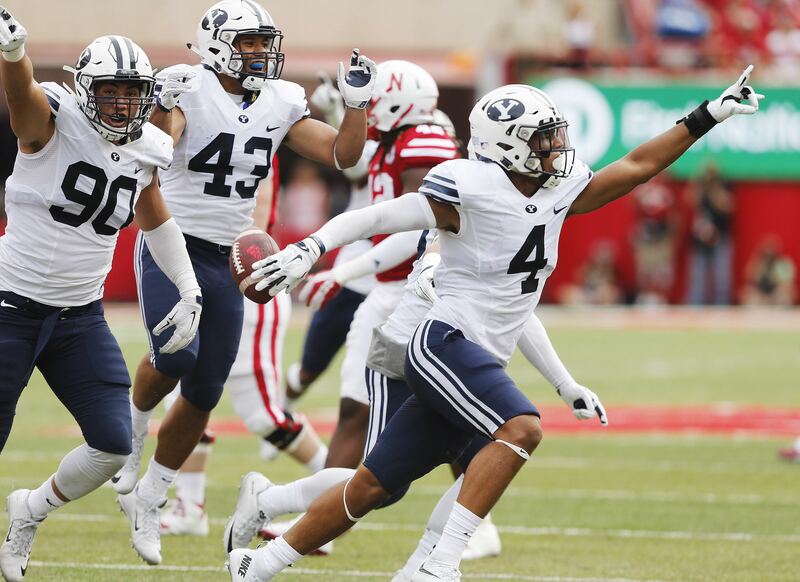 During his time at BYU, Fred Warner recorded 264 tackles, 6.5 sacks, and 7 interceptions. He played in 49 games for the Cougars during his four collegiate seasons, and was a star on BYU’s defense during both 2016 and 2017. Warner spent a lot of time as an EDGE player for BYU, but moved off the ball full time at the Senior Bowl. He quickly picked up the WILL position and looked natural all week in Mobile. At 6’3″ 235 pounds Warner is a big and long WILL backer at the next level. And considering his more-than-adequate size, Warner’s athleticism is impressive. Warner is a balanced and fluid athlete who looks comfortable playing in space. He is also impressive as a run defender on the edge, using his physicality and block shedding abilities to defeat bigger offensive linemen and make plays at the line of scrimmage. Warner is also able to rush off the edge occasionally, though I don’t see him consistently doing so in the NFL. On this play we see an example of Fred Warner’s ability to read, react, and close on the ball carrier. Warner stays disciplined in his run fits at first, reading the hats of the linemen as the hole forms. As the runner bounces, Warner begins to break down hill to make the play. Warner takes an excellent angle to the edge, meeting the running back in the backfield and bringing him down for a loss of yardage. Warner’s closing speed and play recognition are both key strengths to his game. Fred Warner is also a very strong tackler. Physical with his hands and technically sound, I rarely saw Fred Warner miss tackles. Fred Warner is also strong in coverage. With his athleticism and fluidity Warner can cover a lot of ground in pass coverage. He also makes some incredible splash plays in coverage, such as this one against UCLA. Warner gets into his drop smoothly here, reading his keys and processing the play in front of him. Then, as soon as the quarterback lets go of the ball, Warner jumps on the route and makes a great play on the ball. Considering his size, this is an outstanding rep from Fred Warner. Of course, as with any prospect, there is some bad in Warner’s game. He struggles working off blocks and is not all that physical when taking on blockers. While he looks comfortable and fluid in space, I worry about his ability to work through the “garbage” and make plays. He is able to get underneath blockers at times, but he relies on this too much, leaving him susceptible to getting bodied by linemen. Fred Warner is an off ball linebacker with impressive processing skills who can read, react, and finish against the run. He possesses excellent range, especially considering his size, and routinely made tough plays look easy both at BYU and at the Senior Bowl. Outside of the big names (Roquan Smith, Tremaine Edmunds, Rashaan Evans), Fred Warner is the best linebacker in this draft and deserves to be a top 100 pick.